Morning everyone, I am doing some problem sheets for my class in Partial differential equations where we dont have an actual textbook. we are given a pack on notes. I am having an issue discerning what is meant by symmetry in the PDE's. 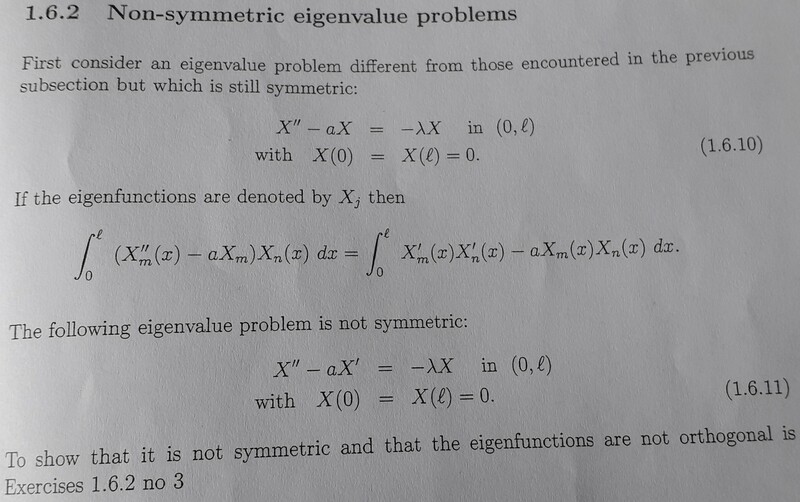 We have first that: One of these eigenvalue problems is symmetric and the other isn't. Browse other questions tagged pde heat-equation symmetry symmetric-functions or ask your own question. Orthonormal basis of $L^2$ and it's impact on the solution to the heat equation.